RAILKO PV103 and RAILKO Xtra Glide give low friction and excellent surface smoothness that make them the premier choice for slip coats for glass run channels. RAILKO slip coats are used on TPV/TPE, SEBS, and EPDM. RAILKO slip coats have proven in service performance and are used and specified by major car manufacturers world wide for automotive weather seal applications. RAILKO slip coats create a low friction surface that is abrasion resistant and long lasting. They are readily processed and give a durable surface without bloom, bleed out, or exudation. They accept corner over moulding without delamination. 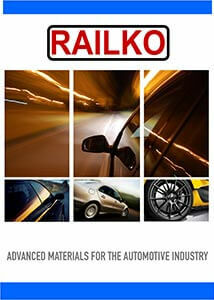 RAILKO slip coats have proven exterior and interior weatherometer performance to SAE J1960 and J1885. 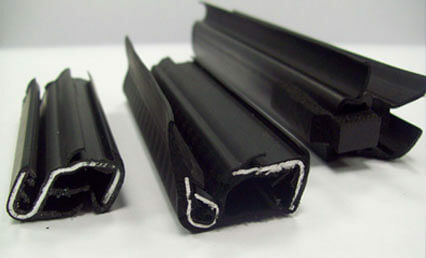 RAILKO PV103 has excellent abrasion resistance and low friction. RAILKO Xtra Glide is flexible to suit modern light weight weather seals without metal support and does not scuff or mar on installation. New generation RAILKO slip coats have low flexural modulus to suit the demands of dynamic seals such as bulb seals and flexible flip seals. For Decorative Trim applications RAILKO supply neutral coloured slip coats that are then coloured matched to the vehicle’s trim colour.